Hey Everyone! Don't worry, despite the title this isn't about an Oasis song. If you follow me on twitter or instagram most of you would have seen that recently I went on holiday to France. I was there from the 23rd August and headed back home on the 2nd September so I was only there for 9 days. 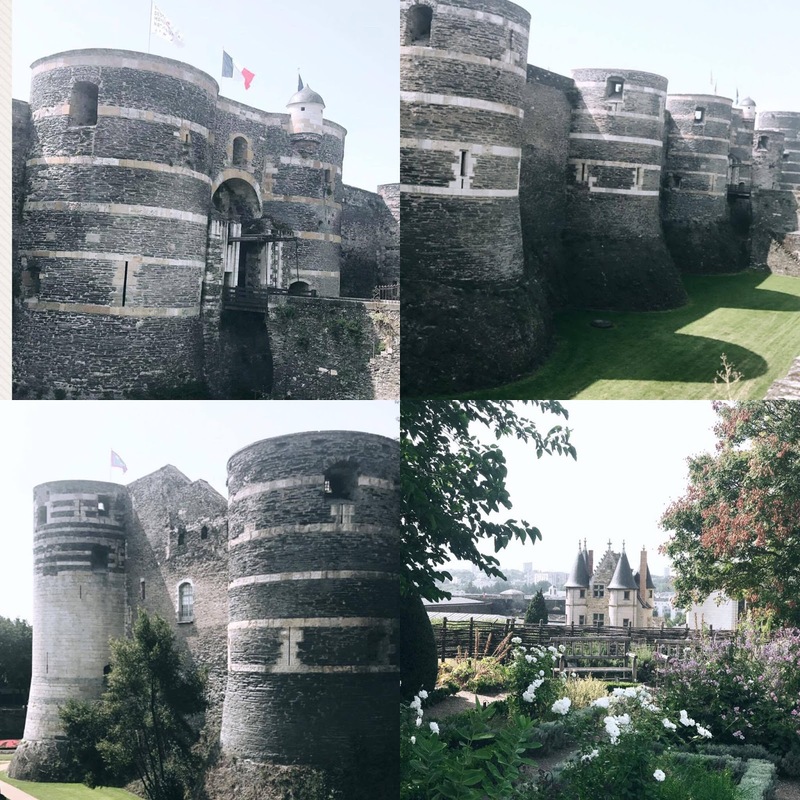 I thought that I would do a blog post all about my adventures there as we saw quite a lot and it was a lovely little town. 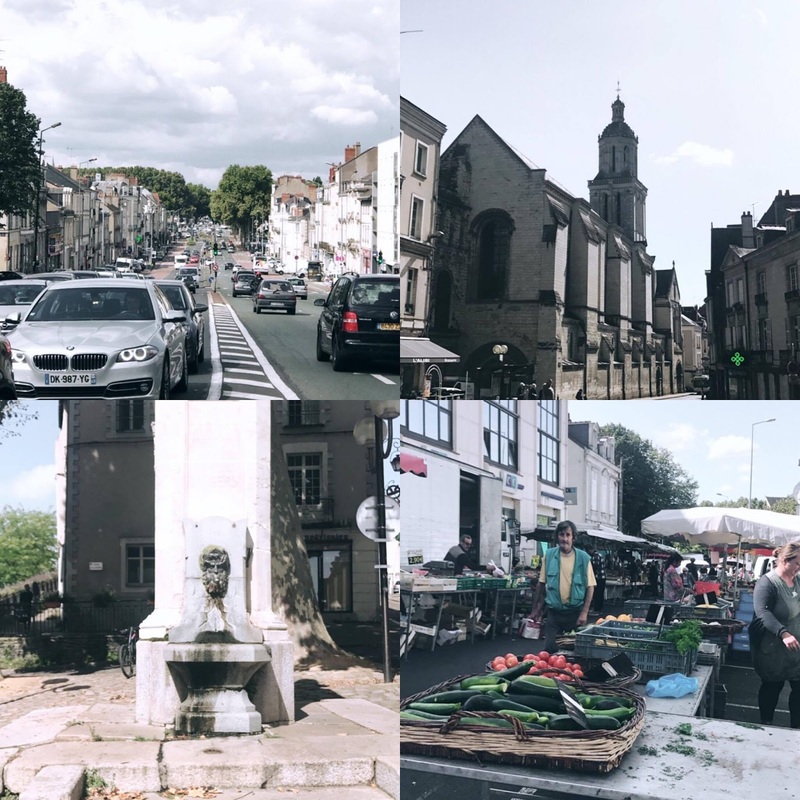 We did spend the majority of the time exploring the main city centre so I thought why not share some of the photos that took on my adventures. I hope you enjoy this post. Angers is a town that is located as part of the Loire Valley. It has been nicknamed as the most happiest of towns in the whole of France and walking around it I can see why. I don't think I've seen one unhappy person working around it at all. With a big university in town and 40% of the town's population under the age of 30 it is an extremely student friendly town and one that has a university near by. The town is full of quaint little shops, cafes' and restaurants and it also has a tram running through the middle of the town which is very regular and takes you other places within the town as well as the university which is only two stops away. I love how picturesque and pretty the town is. 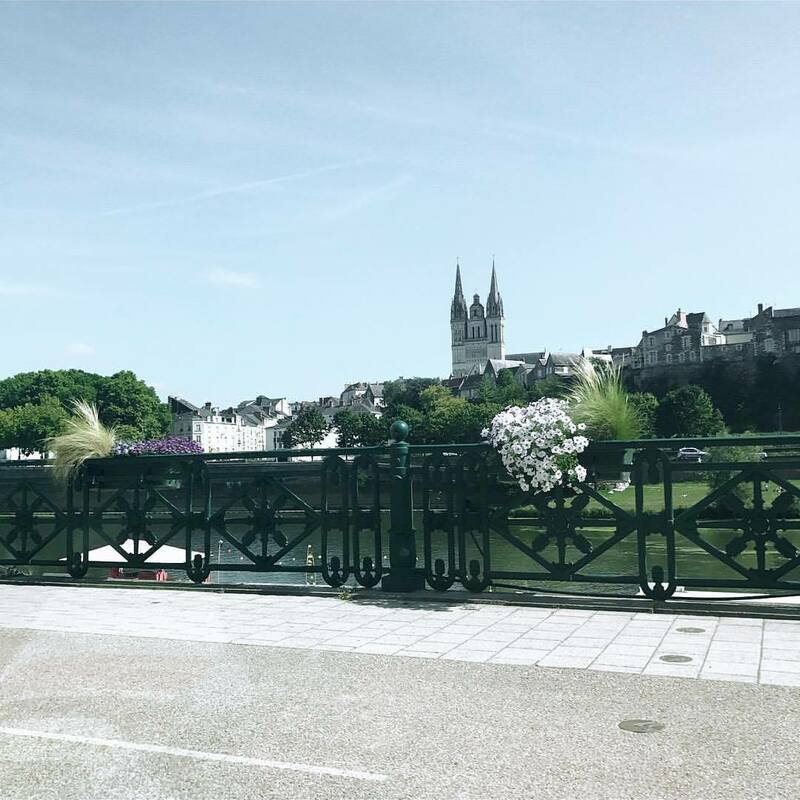 I love the lake and the bridges that go across them as they all have pretty flowers on them and it's just a really nice touch to the town. I also love the old rickety buildings that they have scattered around the town. I'm a big history fan so seeing buildings like this always really interest me. Now if you have followed me or know me at all then you will know I wasn't actually looking forward to France this year. I don't mean that to sound ungrateful at all. 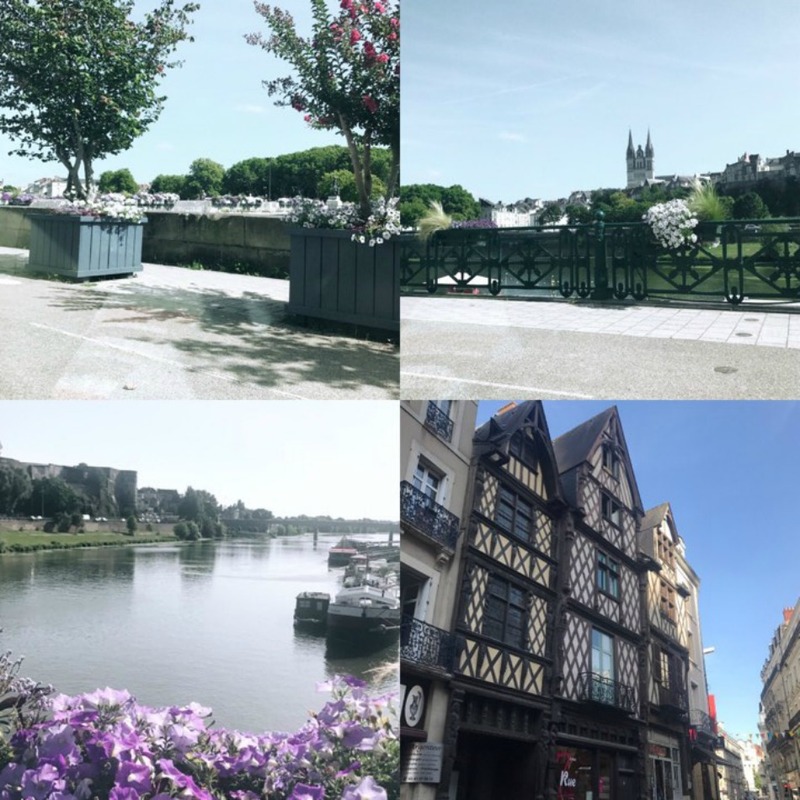 I love France...most of my favorite childhood memories are in France...I just wanted to go somewhere a bit different this year. 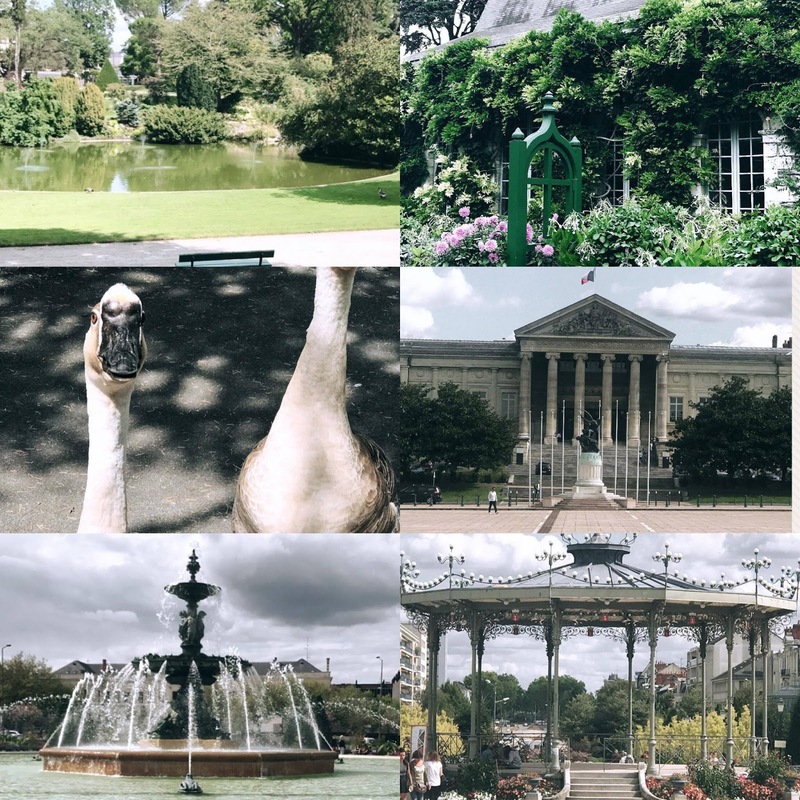 Anyway, I'm so glad I chose to go as Angers really is one of the prettiest places I have ever been too. 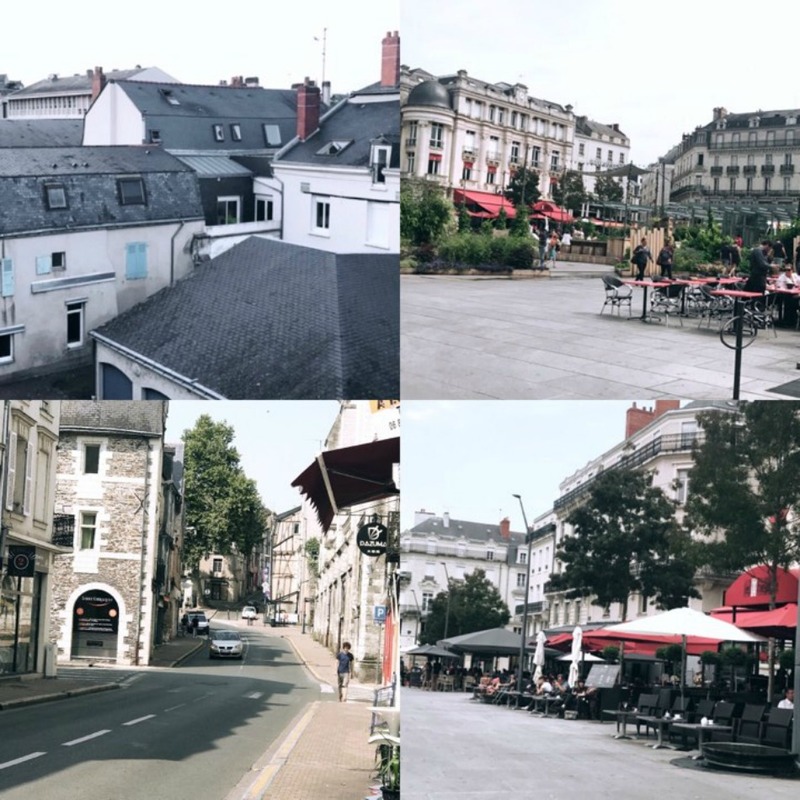 My favorite part of Angers was the square. I love squares like this that are full of little swaps and quaint little restaurants, bars and just really sociable places. As it was a student town all the restaurants had really good service and they were all very inexpensive as well. They all did the most delicious cocktails however I opted for mocktails on a lot of the days as they were a lot more refreshing. The town had more restaurants down some of the little side streets. One of them had the cutest little carousel with a bar outside it which was lovely if you wanted to cool down and sit and have a drink before heading to explore more. My cousin is actually studying in the town for the next year or so and she came to visit us for the first weekend that we were there which was lovely. 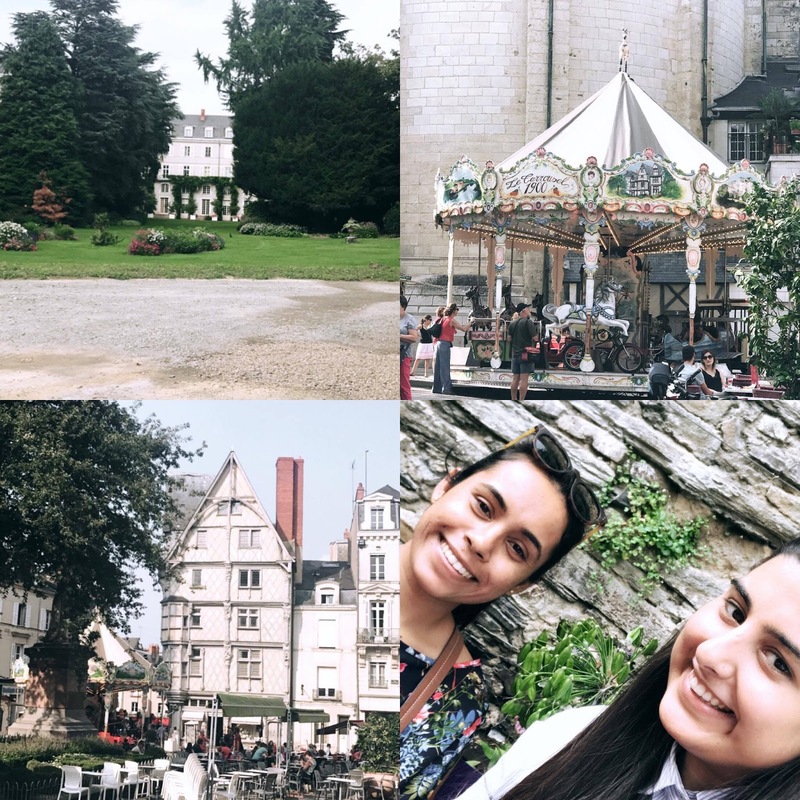 We got to explore the town more with her and see the university where she'll be staying and it was just lovely to know that she's now a 2 hour flight away instead of the usual 12 hours. It was really nice and I'm excited to go and see her again but this time she'll be my tour guide in Paris. One of my favorite things about Angers was the little side streets that had extremely quaint little shops and really interesting people. If there's one thing about the french it's that they love to pull you in and have a little chat especially if you are a foreigner which I love. Not only do you get to learn a little bit more about the locals but it also gives the locals a chance to practice their english too which is a bonus for them. 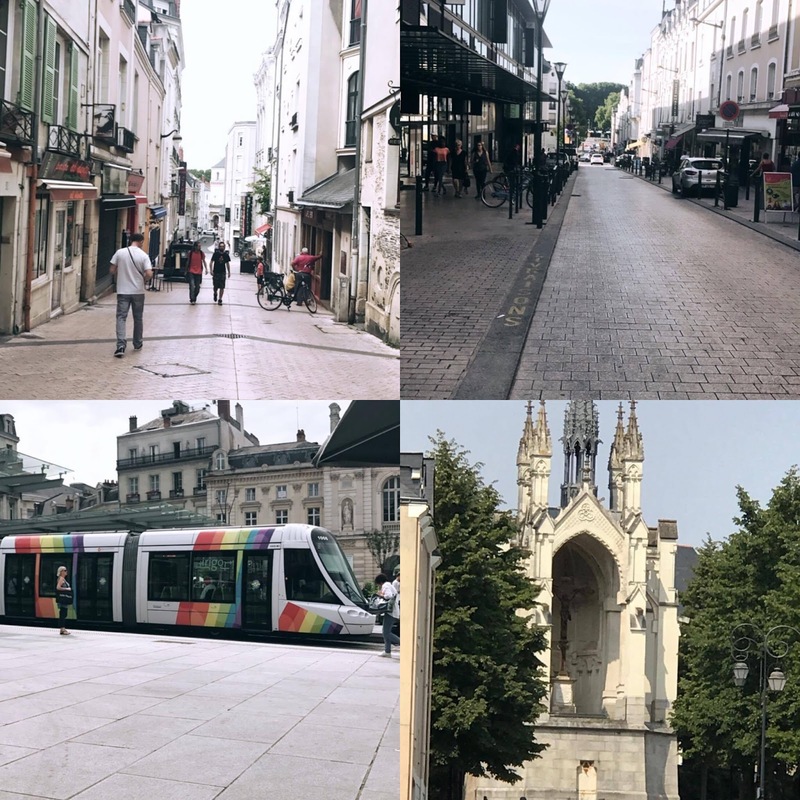 As you can see from the collage above Angers had a tram that ran right through the town square and around Angers and I can honestly tell you it was the smoothest thing I have ever been on. Such a massive different to London's extremely bumpy tube journeys every day. 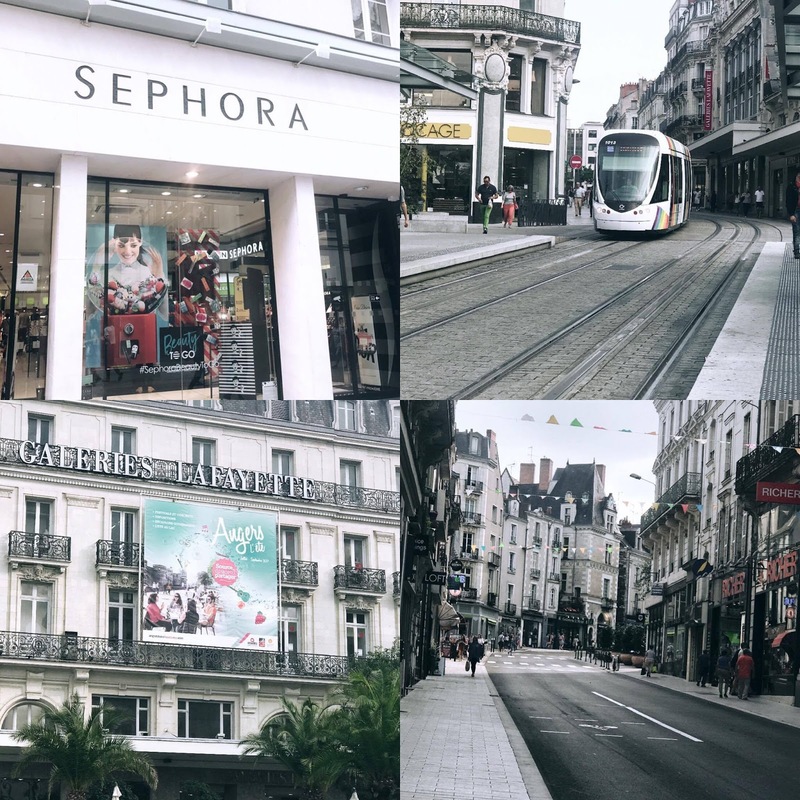 Your eyes do not deceive you, there was indeed a sephora when I was in France. I went in there one and it took everything in me not to purchase anything. Made me realise what strong willpower I have! Angers also had a department store called Galleries La Fayette which is similar to Selfridges! It has so many amazing departments inside. Sadly a lot of the stuff is quite pricey but as a birthday present my Dad bought me a gorgeous coat which I will definitely be featuring in an outfit post in the next month or so, so make sure that you keep your eyes peeled for that. 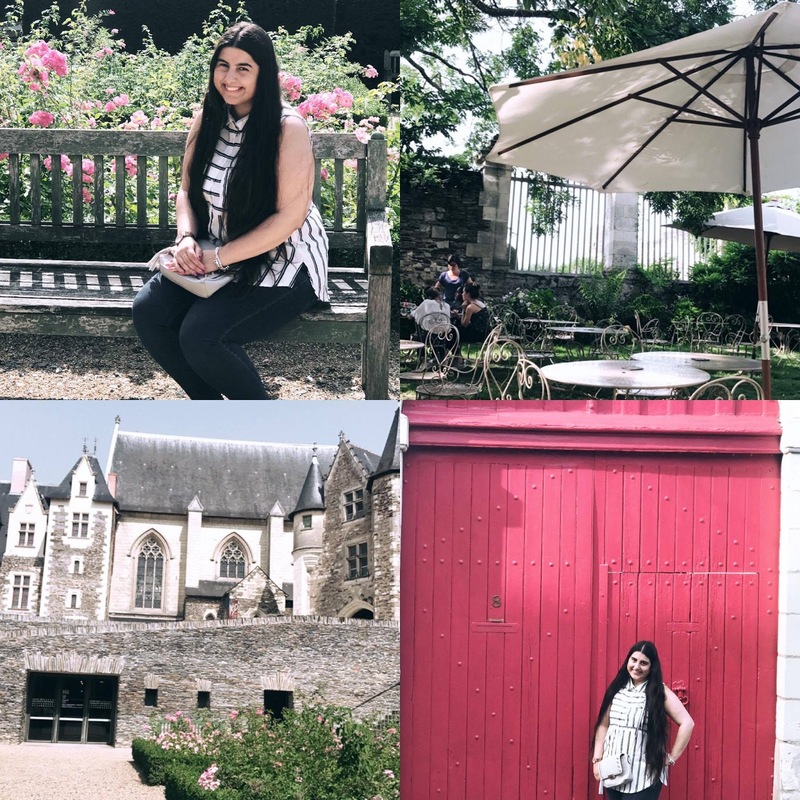 One of the places we got to explore was the Chateux D'Angers which was a beautiful old historic castle overlooking the river than ran through the middle of Angers. It was a beautiful old castle and very historic. What else would you expect from something that was found back in the 9th Century. As you can tell from the collage above I couldn't resist taking a few standard blogger shots, especially the one overlooking the river. The other side of the river from where I'm looking is actually the side of the river where we were staying and the view was so beautiful. I will admit that it was absolutely boiling hot whist these photos were taken. I think on this day it was around 32 degrees. Way to hot but the views were absolutely incredible. I also loved how the chateux had designed the gardens too. They all had their own unique style and were all extremely pretty. 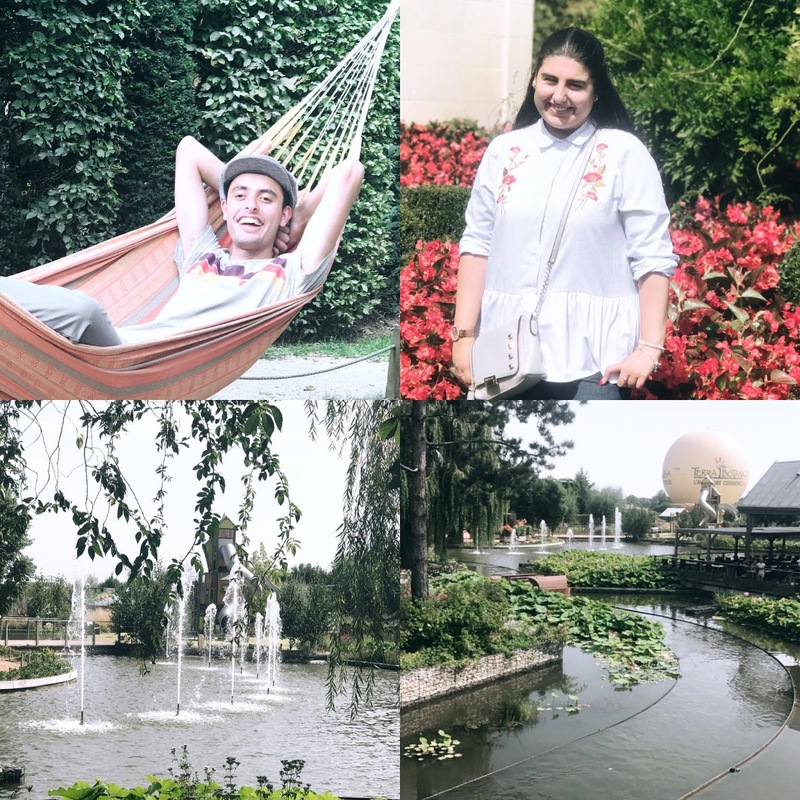 Another collage of photos from inside the chateux and out in the gardens. I couldn't resist taking a photo on the bench in front of the pretty flowers. I thought the garden where the umbrellas were were extremely pretty too. We all went there to have a drink and it was just nice to sit there in the shade and relax for a little bit before moving on. After we had visited the chateux we walked down some of the side streets that were nearby and I couldn't resist getting a photo near the red gate. I don't know what it was but it was just super pretty and I just had to get a photo even though it was nothing special...just big and red! This was probably the hottest day I've ever experienced. It reached up to around 38 degrees which was awful! Thankfully there were a lot of places around the gardens in which we could sit down and have a drink and cool down The gardens were called Terra Botanica and yes that big yellow ball is actually a hot air balloon in which you could go up in. 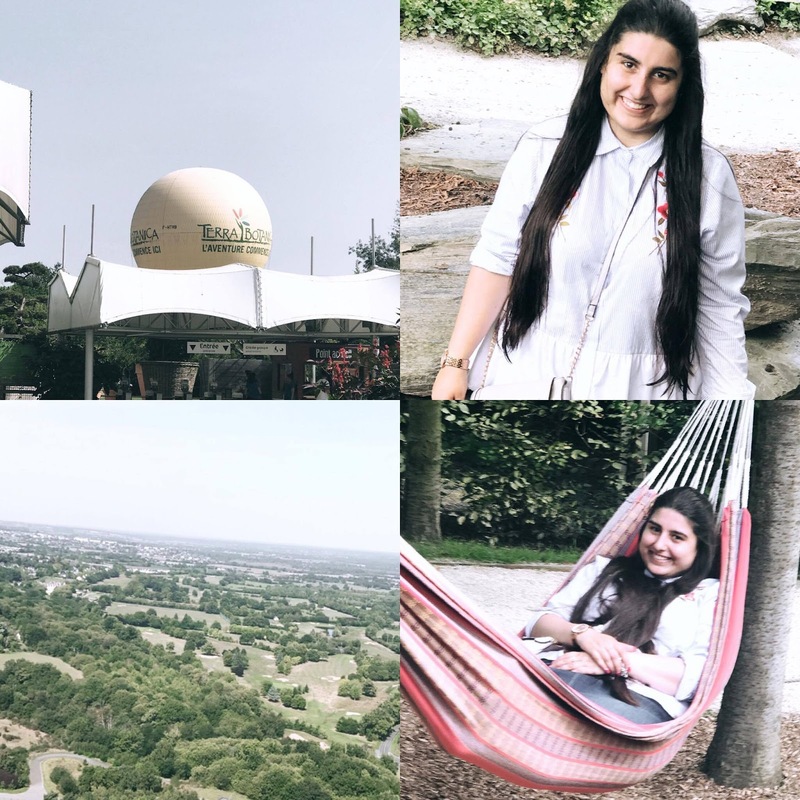 It was like a mini educational theme park which was a lot more fun that it sounds trust me! It has 4D cinemas, boat rides, rollarcoaster type rides etc. It was a very interesting place and definitely one of the best days we had. If you're thinking of visiting France I'd highly recommend visiting this theme park. More photos from the theme park. As you can tell my brother made himself very comfortable in the heat whilst my Mum made me post in front of her favorite flowers. I also loved taking photos of these gorgeous little water fountains. However can we just talk about how difficult taking photos whilst water is moving in?! This was like my 20th attempt before I gave up as I wasn't going to get anything better than this. I'd highly recommend visiting this park. It's got something there for everyone and you won't be disappointed. It's about 15 minutes on the tram from the town square and you can get a day pass for around 10 Euros which I think is really good as you can explore more of the town as well. On our final day we went to one of the local gardens which was about a 10 minute walk from where we were staying. It was such a gorgeous quaint little garden but they had done so much with the space that it actually looked bigger than it was. The garden definitely reminded me of central park a little bit with the little lake and the stream and it was gorgeous. It also had statues all around it which was unique and something I'll come onto a little later. When we left the gardens we took a walk back towards a different part of the town and came across an area that had a massive water fountain in which kind of reminded me a bit o Trafalgar square in London. On one side of the fountain it had an absolutely stunning building which according to my Dad was the courthouse in the middle of the town. It was absolutely beautiful. On the other side of the fountain was this beautiful gazebo that definitely gave me gilmore girls vibes even though this one is a lot bigger than the one in the gilmore girls. It was definitely such a pretty part of the town. I only wish that I got more photos of this. 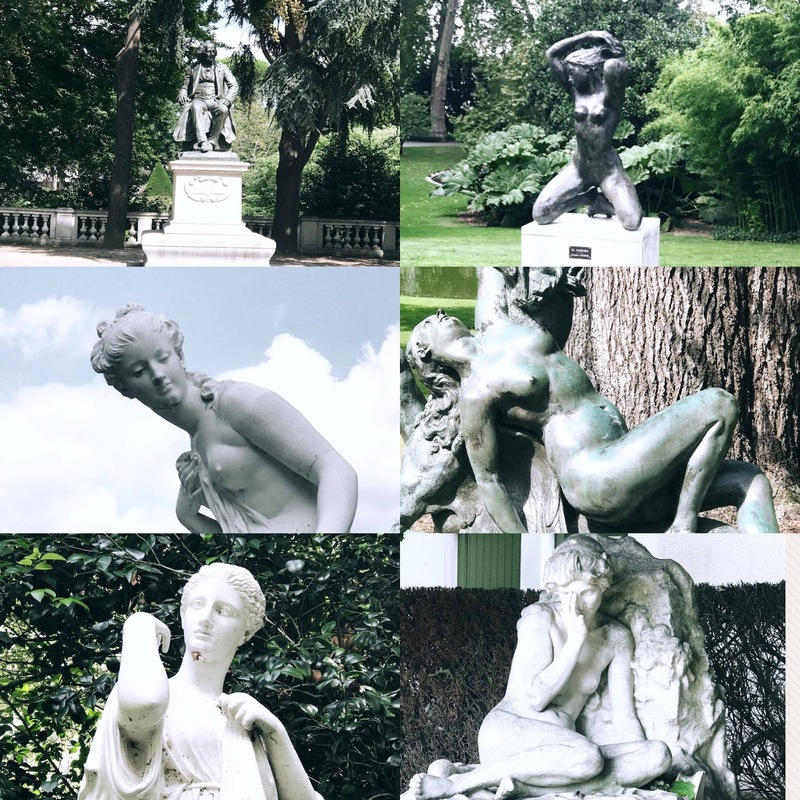 These are the statues and figures that I was talking about above in the park I went to on my last day. It was absolutely stunning. I thought all these statues were very unusual and added something extra to the park. It was a nice little touch and I felt that all the statues each told a story which was nice to see. On the morning of us leaving we decided to go to the market as my Mum wanted to pick up some vegetables and flower seeds to bring back home with us. The markets in France are always incredible even though it looks pretty small it was just closing by the time we got there so I didn't have a chance to take more photos but I highly recommend whenever you visit France if you ever plan on doing so definitely take a trip down to the local markets as it's something you won't regret. 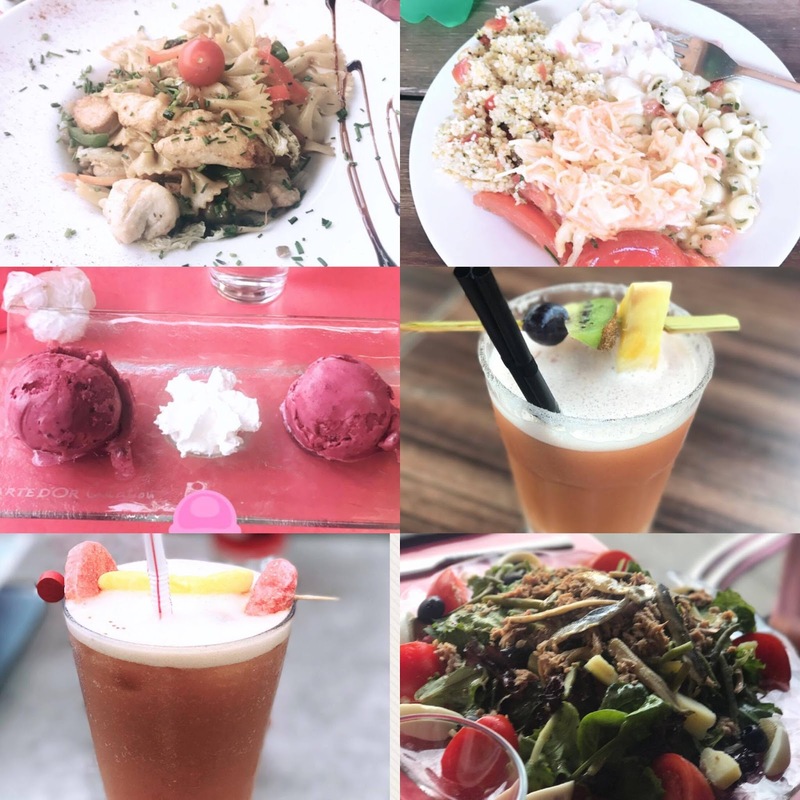 I couldn't end this post without including a little collage of some of the food that I consumed whilst I was on holiday. From the pasta to the drinks to the amazing salad the food in France is just amazing and is definitely one of the best places in the world for an exquisite cuisine! I'd highly recommend eating as much as possible when you're in France as you won't regret it. So there we have it, just a little information and a quick post on what I got up to on my holidays. I've tried to keep it as brief as possible as, as you can probably tell, I did take a lot of photos. 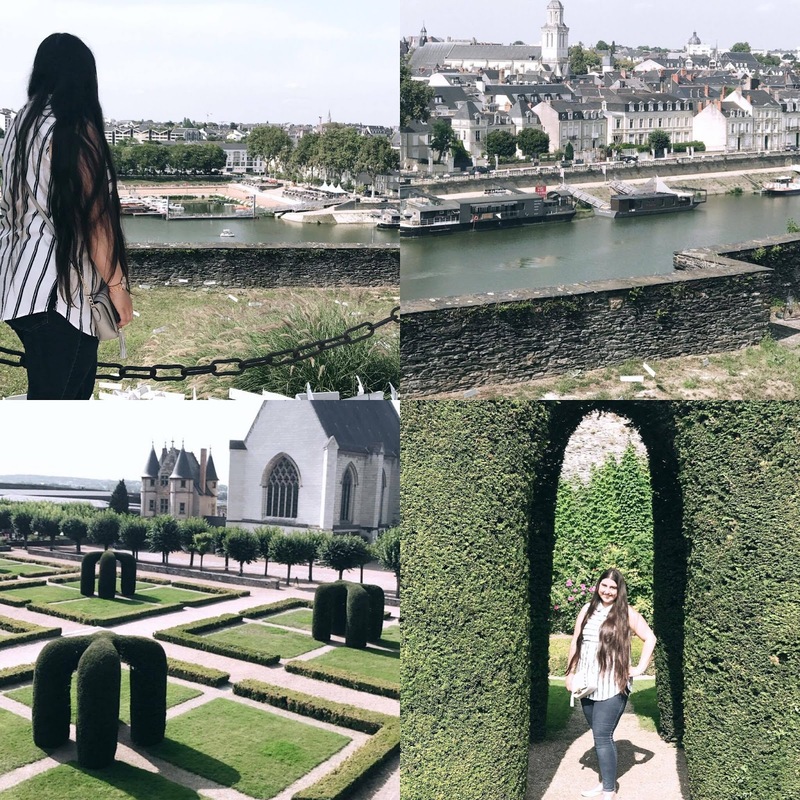 Angers is definitely one of the kindest, prettiest, most friendliest towns I have ever been to and it's definitely somewhere that I recommend everyone goes should they ever visit France. Have you ever been to France before? Where have you been? What are your favorite things about the country?